St. George has slowly been evolving to having a reputation not only for its picturesque landscape and desirable weather, but also for its one of a kind dining experiences. 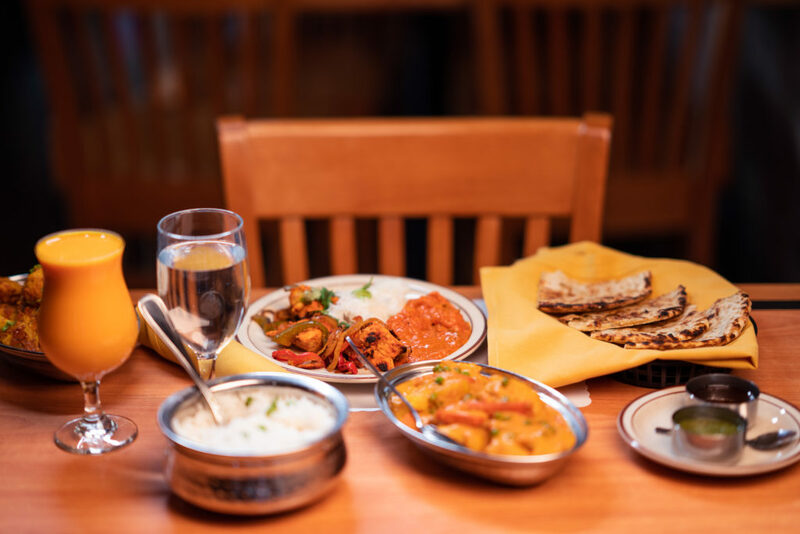 Garnering rave reviews since its opening in September of 2018, Red Fort Indian Cuisine is the newest and most talked about addition to the southern Utah food scene. Owner Shamsher Singh is a brother to Harpaul Singh (Paul), who owns the popular restaurant Bombay House in Salt Lake City. Shamsher worked at Bombay House for over 10 years before opening his own restaurant in Seattle. Drawn to the year round sun, Shamsher left the rainy city and came to southern Utah, opening his 2nd location. Located in the dining and shopping hub just south of Red Rock Commons, Red Fort provides an intimate and relaxing dining experience. The high ceilings, gleaming silver serving bowls, and wooden archways provide the perfect accent to the menu of authentically prepared Indian cuisine. All the servers wear turbans, which is an important traditional item of attire in Sikhism. Kind and attentive, they are quick to give recommendations and menu help for first timers. Entrees are served family style and at your desired spice level from mild to hot, and come with a side of rice. Many of their entrees and side dishes like the traditional naan bread are cooked in a tandoor, a type of clay oven that reaches very high temperatures. Regular or garlic naan may be familiar to many, but the Peshwari naan is my favorite. This lightly sweet bread is stuffed with finely chopped coconut, raisins, and cashew nuts. So delicious on its own, this naan will complete any classic Indian dish. A major draw to the menu at Red Fort, is that it features many vegetarian, vegan, and gluten free dishes, my go-to being the Mixed Vegetable Curry. This traditional dish consists of vegetables simmered in a spiced tomato sauce along with onions, garlic, and ginger. The sauce was perfectly seasoned and creamy, but as rich as it appears, not heavy at all. It’s the perfect comfort food to enjoy on one of our “cold” winter nights. I also tried the Chicken Tikka Masala, which I’ve had but been less than impressed with at other restaurants I’ve tried before. Needless to say, this dish did not disappoint. The portion size was quite a lot for one person, but could easily be shared between a couple. I started out with but ended up skipping using a fork, and went straight to using what was left of my naan bread as a utensil. Grilled Tandoori style with bell peppers and onions, the chicken is tender and cooked perfectly. The sauce is packed with garlic tomato richness, but not overpowering in flavor, and pairs perfectly with the Basmati Rice. 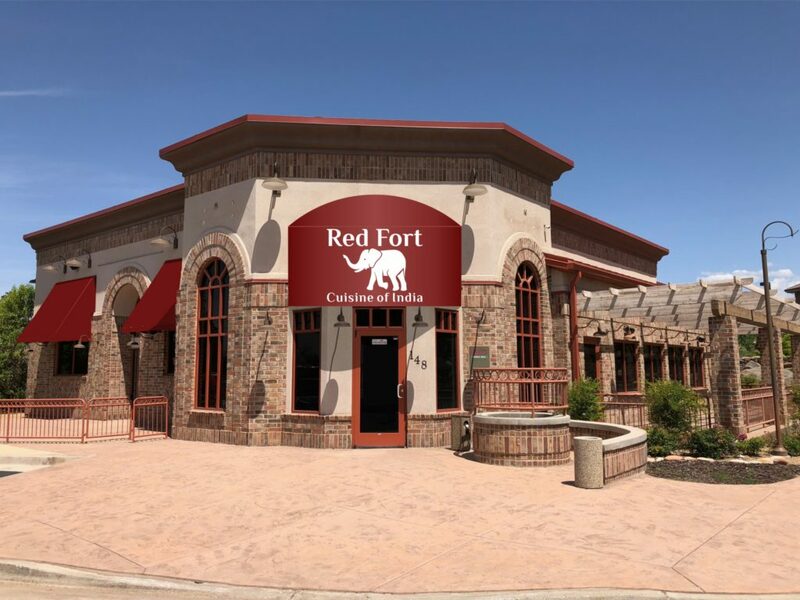 A welcome addition to southern Utah, Red Fort is sure to please. 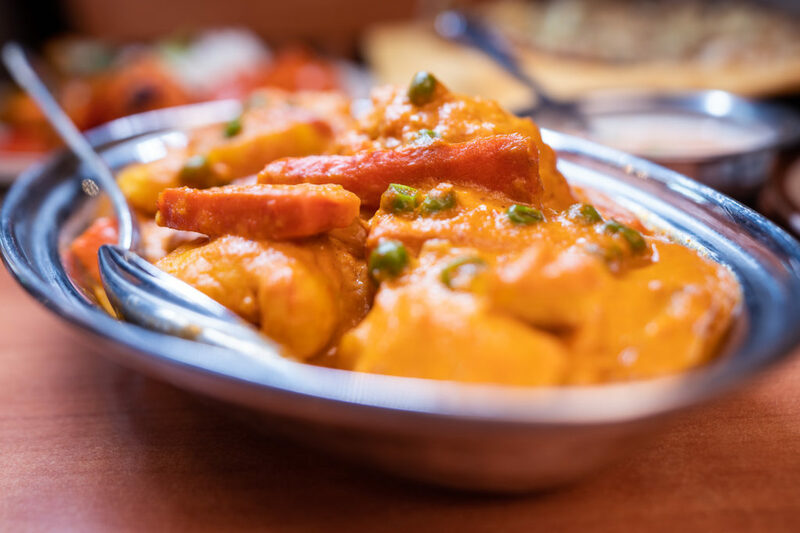 Visit today and choose from familiar favorites of Indian cuisine, or have your server guide you to new flavors and textures if you’re trying Indian food for the first time. You will leave with a feeling that only a satisfying dining experience can provide. Stop by early to beat the rush, which starts soon after the doors open at 3:00pm.